The Art of Wellness Collection is my husband Nazim Artist’s and my special creation which showcases holistic products, services, works of art by my husband, words of wisdom and various protocols for both people and our companion animals. Here we are with my business partner in Celestial Pets in the middle, Imelda Lopez-Casper. I am on the left and Nazim is on the right. 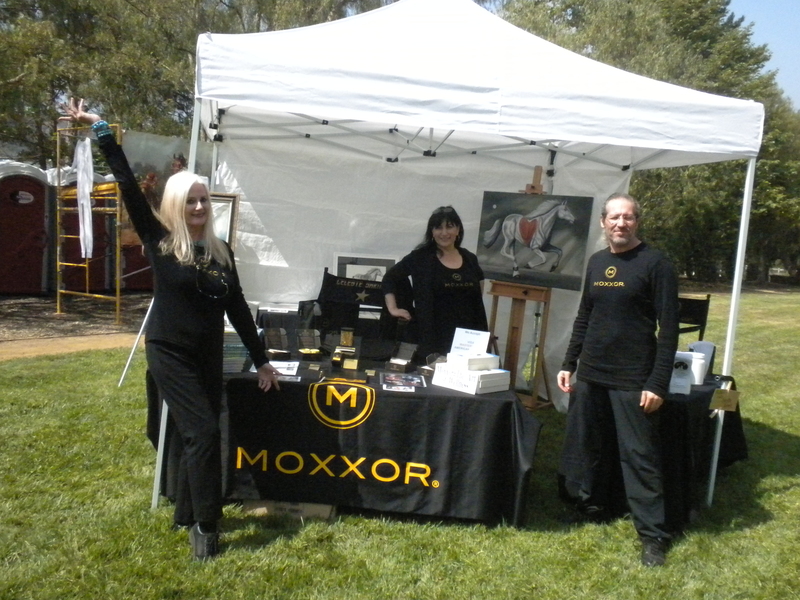 This was a charity horse event where a print of Nazim’s beautiful Love Horse painting was donated through a silent auction last weekend to benefit California Coastal Horse Rescue! Here at my Celestial Musings Blog we come together in the spirit of being of service to our friends in order to share and discuss those things that I find helpful my holistic practice or personal regime. Or to have as part of your sacred space, such as my husbands beautiful holistically paintings. See http://www.NazimArtist.com. If we like something we share it along with the results we obtain! The goal being to bless our bodies, minds and spirits holistically from the inside out! I am personally the type of person that when I find something that fits with my husbands and my wellness matrix, I research and test it to be sure it works in our Art of Wellness paradigm. If you read my last blog (entitled What on Earth is a Greenlip Mussel?) you will recall that I introduce MOXXOR, a potent Omega-3 supplement from New Zealand, and it is one of my best discoveries of all time, especially since it is just as good for our pets as it is for us. Nazim and I and are kitties, friends, family, my clients and their animals have been taking it now for over 2 years daily. Horses only need to capsules daily! I am always on the lookout for new products that have synergy with the tried and true protocols I already employ and lo and behold I found a new product recently that many of our Moxxor team members are using with great success. The new product is called Protandim. Protandim is a patented combination of 5 synergistic commonly known herbs. However, it is the ratio which is the key to unlocking the healing of oxidative stress. The most common denominator to all chronic diseases today. Just for fun google oxidative stress at PubMed.com and see just what comes up. Chances are you or someone you love or is close to you is struggling with something with roots in oxidative stress. Protandim is the only supplement I have found that has been clinically proven (in a peer-reviewed, human clinical study) to reduce aging and oxidative stress factors by an average of 40%! What’s more, Protandim has been awarded three patents and is the subject of more than 20 independent clinical studies at the present time. This patented antioxidant therapy is many times more powerful than red wine, oranges, blueberries, juices or other popular antioxidant supplements. Protandim works by increasing the body’s natural antioxidant protection at the cellular level, triggering cells to produce naturally occurring protective antioxidant enzymes such as superoxide dismutase (SOD), catalase, and the enzymes involved in glutathione synthesis and metabolism. What are these 5 magical herbs that are the active ingredients in Protandim? Everyone is familiar with inflammatory diseases like arthritis, but any time you get traumatic injuries, such as a sprained ankle, or bruise yourself, there is swelling, pain and redness! These symptoms are what characterize inflammation. The process of inflammation is designed, in part, to prevent infection. One of the ways your body prevents infection is to kill invading microorganisms by intentionally making toxic free radicals. Thus the pain, redness and swelling in and surrounding a cut are not so much caused from the infection, but from the inflammation, as your body responds and mounts a defense to a possible infection. Following inflammation in many kinds of diseases or traumatic injury is a process of scar tissue formation that scientists refer to as “fibrosis”. A number of genes turn on that process. And while fibrosis can be a good thing if you’re healing a cut, in many other diseases it is not a good thing. For example, many older people die each year from heart failure– the failure of the pumping action of the heart due to this process of fibrosis. This is quite a different process from “hardening of the arteries” or atherosclerosis, which leads to heart attacks and strokes. Protandim activates survival genes, such as the antioxidant gene which keep us safe from free radicals and oxidants. It also turns down genes that perpetuate inflammation and genes that encourage slow, progressive fibrosis to take place. Together, these actions provide a remarkable promise of protection from many kinds of age-related diseases. Protandim with Moxxor as its synergist offers beauty on all levels from the inside out! The company that brings us Protandim is called Life Vantage and they have a wonderful skin cream available which is called TrueScience. TrueScience is an anti-aging cream, which helps you combat oxidative stress on your skin … the largest organ of your body! It too has the same unique patented combination of 5 herbs that you find in Protandim but all wrapped up in a smooth as silk all natural formulation. TrueScience Skin Cream contains the same 5 synergistic herbs that Protandim has! Your Art of Wellness team is very excited about the synergy of Protandim with Moxxor as it is a potent anti-aging combo which deals directly with inflammation and oxidative stress! The loading dose is 1 caplet per day, and a minimum 30-day loading dose is recommended. I was very impressed to learn that one of our Moxxor distributors, who had already experienced incredible results with Moxxor for herself and her children who have ADD/ADHD. When she added Protandim to the Moxxor regime she got even more good results. All that is needed is one Protandim caplet pet day and one or two Moxxor in the morning and one of two Moxxor in the afternoon or with dinner. 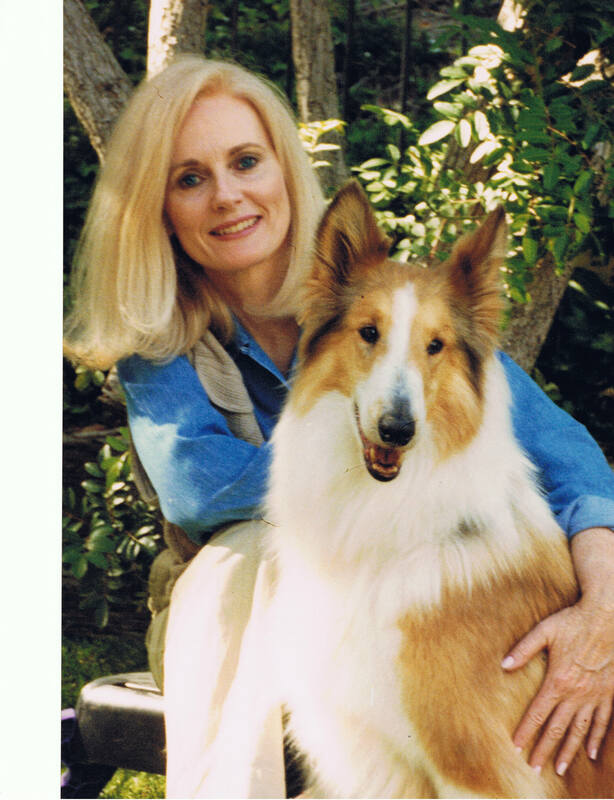 Celeste Yarnall with “Connie” her beloved Collie! Life Vantage will be coming out with a pet product soon which is in development now, but the results reported from customers and distributors who are currently crushing up the caplets to mix into their dogs food along with one Moxxor per day are pretty astounding! So again, something we can share with our beloved animal companions who share our sacred spaces with us! Check with your holistic veterinarian first just to be safe! Please watch this brief but incredibly informative ABC Primetime Report if you missed it above! Over 50,000,000 people saw this broadcast (including Oprah) when it first aired and wanted Dr.Joe McCord to be on the show and repeat the amazing results obtained from a before Protandim blood test and after. 50,000,000 people wanted this product, but unfortunately, they couldn’t get their calls returned because the companies business plan was not set up then, but they are now, luckily for us! Life Vantage under a brilliant management team launched the products and their business opportunity 3 years ago. I was very impressed by Dr. McCords presentation on the video, so much so that I tried the product, found they were absolutely right! I have now added these two wonder products, the Protandim caplets and the TrueScience Skin Cream to our Art of Wellness Collection! Please visit our website, www.mylifevantage.com/LVHealth for more details and how to order. Why not try the Protandim for 30 days along with the TrueScience skin cream The retail price is $50 for a bottle of 30 caplets, or you can order as a Preferred Customer for the reduced price of $40. Life Vantage currently distributes Protandim and TrueScience Skin Cream, in the USA, Mexico, Australia, and Japan. They can also ship these two products to customers in Canada. If you see the results we have seen after 30 days you also have the option to enroll as a distributor. 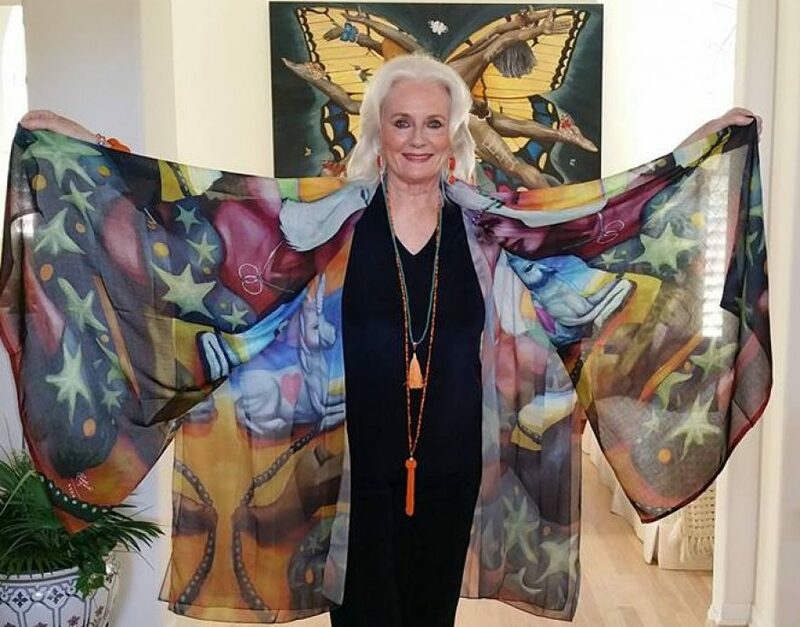 My goal in life is to be of value so my biggest joy is to pay great things forward and if you would like to join our Art of Wellness team we’d love to have you come on board. We feel Protandim is going to be tremendous for us on so many levels, and it’s something that our vegan friends can take and benefit from. If you have any questions or need any additional information, please don’t hesitate to share your ‘musings’ about this with me and I will get you the answers you need! Great Article. I am currently taking Moxxor and Protandim and feel younger and know that I am giving my body the best protection against inflammation and oxidation. We have to help our bodies against the daily assaults of wireless radiation, pollution, chemicals, toxins,stress and the free radicals that throw are bodies into disease and inbalance. These two products can help keep our cells in a healthier state as long as we take them. The key is to take them for the rest of our life, which in my opinion will be a longer and higher quality of life. Moxxor and Protandim works on the inside and outside. The true science cream is also extremely effective at reducing fine lines and dryness. These are the best of the best, backed by studies and pure and natural! I so agree and am delighted to share these great products!